Beijing City Tour, Summer Palace, Beijing Zoo,Lama Temple Tour! Activities: Full day tour to visit Summer Palace, Beijing Zoo, Lama Temple and the Royal Friendship Shop. Includes: Private transportation, guided visit to Summer Palace, Beijing Zoo, Lama Temple and Royal Friendship Shop with Japanese speaking guide. Lunch at local restaurant. 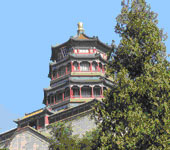 The Tour: Your first visit will be the Summer Palace, one of Chinas largest and best preserved imperial gardens. 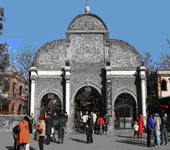 Then on to Beijing Zoo, the oldest and largest zoo in the Asian Pacific and the world-famous home of the Giant Pandas. Lunch is at a local restaurant. 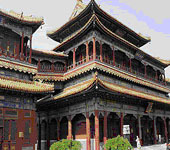 After lunch, continue your tour with a visit to the Lama Temple, also known as the Yonghegong Lamasery, originally built in 1694 as the residence of the Qing Emperor Yongzheng, before he ascended the throne and was renamed Yonghegong. In 1744, it was converted into a lamasery and became a residence for large numbers of monks from Mongolia and Tibet. The layout of the temple is quite different from other temples. It houses a treasury of Buddhist art, including sculptured images of gods, demons and Buddhas, as well as Tibetan-style murals. Enjoy a spot of shopping at the Royal Friendship Shop before ending your tour. Rottener les tickets en line, voyager par train en Chine, guide, voyagers, hotels, fruits a la Chine.